Since 1945/46 the Grand Duchy of Luxembourg has developed a culture of commemorations and memorials that are related to the German occupation from 1940 to 1944. They recall the Nazi crimes perpetrated against the civilian population, mainly in listing names of victims. So, Luxembourg has numerous local memorials, monuments and museums, where it commemorates the sufferings of the victims including the Jewish victims of the Second World War. Before World War II Luxembourg had only a very few monuments and memorials (related to World War I) as the country had not known sufferings from wars in the period 1815 to 1940. In 2003 Luxembourg joined the International Holocaust Remembrance Alliance (then called ITF, Task Force on International Cooperation on Holocaust Education, Remembrance and Research). Luxembourg still remains the smallest member of IHRA as it had been the smallest ally during World War II. Notwithstanding size, Luxembourg’s population endured sufferings about the average of other Western European countries. 1,94 % of its population lost their lives due to occupation and war. 1300 Jewish people, Luxembourg citizens and refugees, fell victims to the Shoah. Every year, optional teacher training sessions open to all teachers were offered, sometimes in close collaboration with the national history teachers’ association, in order to allow teachers to support and coach their pupils in the best possible way. As a matter of fact, it is extremely important that the teacher is aware of his responsibilities in the domain of the Shoah. Alongside with the teacher training session offered parallel to the Remembrance Day, the Ministry of Education also offers courses focusing on history and memory in particular. Every year some 20 to 50 teachers attend these training sessions. In 2014, for the first time a group history teachers was to be sent to Yad Vashem for training. The outbreak of the war in Gaza prevented the implementation of this project. We hope that in 2015 a new start can be made. Moreover, the University of Luxembourg offers a number of seminars, on precisely the topic of history and memory in relation to WWII, this being part of the pedagogical training for trainee teachers. In general, pupils are aged between 15 and 19 when studying the historic facts of WWII and the Holocaust. Some elementary knowledge of the topic, however, is already transmitted to primary school pupils aged 12. Depending on the importance the teacher attributes to the subject-matter, in accordance with the type of education and the age of the pupils, the topic is taught in two to six lessons; visits of concentration camps abroad or other memorial sites are not yet organized at this early stage. As Luxembourg does not have history books published in Luxembourg, but relies on foreign books (French, Belgian, Swiss, German) history teachers have a great liberty in developing the topic of the Holocaust. The topic of the Holocaust is very often taught in a multidisciplinary way. Even if basically taught in the history course, the Holocaust may also be a topic of the religious science or the language (French, German, and English) courses. Each subject, however, has of course its own pedagogical approach to the topic: in language classes, the topic of the Holocaust is mainly dealt with by analysing the points of views of various authors in the form of comprehension texts, poems or novels, whereas the religious science course analyses the topic from the perspective of the Human Rights or the history of the Jewish people. Educational trips to Auschwitz are organized annually since 2000 by the association "Témoins de la Deuxième Génération" supported by the Ministry of Education. The educational trips to Auschwitz of six to eight classes (200-250 pupils) of general and technical secondary education are widely welcomed each year. Apart from study visits to Auschwitz, trips are also organized to the camps of Natzweiler, Dachau, Buchenwald, Sachsenhausen and Bergen-Belsen. Whenever possible, survivors accompany the pupils. The 2009 activities were organized by the Ministry of Education in cooperation with the Anne Frank House in Amsterdam. The goal was to bring back to people’s memories the atrocities committed during WWII and to warn younger generations against intolerance, racial hatred and ignorance. A special booklet documenting the activities relative to the “Journée de la Mémoire 2009” was published by the Ministry of Education in spring 2009. In 2010 the event, dealt with the situation of the Roma and Sinti. The pupils met a Roma survivor from Auschwitz and had long exchanges with him. He gave a public conference as well. In addition to this national happening, different secondary schools organized activities such as visits to concentration camps, exhibitions, theater performances for their pupils. In 2011, the Ministry of Education organized the activities for schools around the Remembrance Day in close cooperation with the pedagogical department of the Anne Frank House, Amsterdam. The topic on the agenda, “Holocaust in Comic – breaking a taboo or a new opportunity?” was met with great interest by on behalf of the pupils as well as of the teachers. An introductory conference was given by a Holocaust survivor, M. Gerd Klestadt, raising many questions from the young audience. Commemorative plaques have been placed at those locations where synagogues once stood in Luxembourg-City and Esch/Alzette before their destruction. Synagogues in those places where the Jewish community has been destroyed during the Shoah are under the protection of the local administrations and used for cultural purposes. 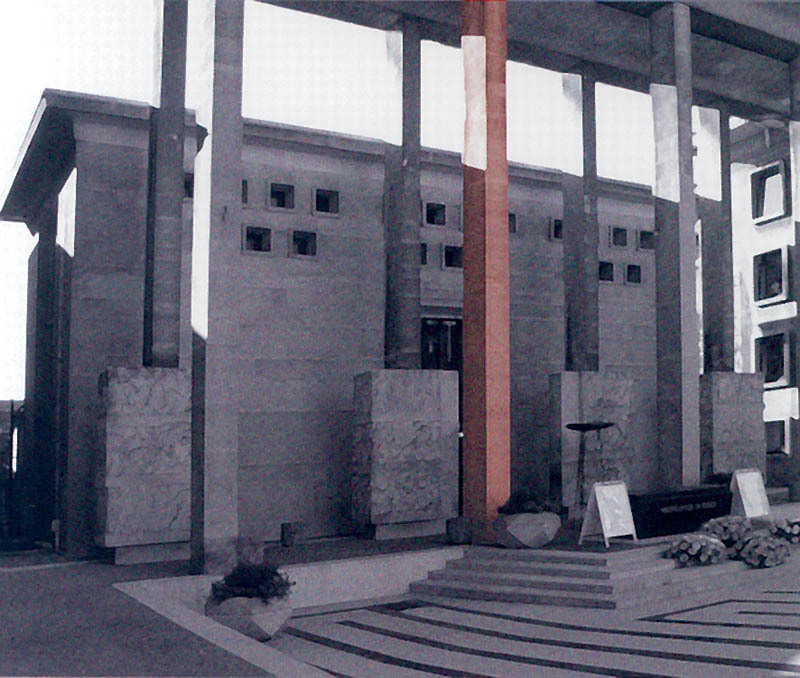 From 2003 to 2007, as an implementation of a recommendation made by the Council of Europe, Luxembourg decided that, 10th October, the national Memorial Day as of 1946, should serve as Holocaust Memorial Day as well. The UN resolution taken in 2007 that declared 27th January as the official day of remembrance of the Holocaust, Luxembourg has since marked this day as the “Day in memory of the Holocaust and for the prevention of crimes against humanity”. The Ministry of Education organizes a central commemoration, gathering some 300 pupils, teachers, representatives from the government, from Parliament and patriotic associations as well as the Jewish community. Starting from the idea that young people have a certain sense for reality and they are able to take their responsibilities. They work for social cohesion and want to actively participate in the construction of a better, peaceful world marked by justice and solidarity. The Holocaust should show them what happened when nobody opposed hate speech, anti-Semitic discourse and racist politics. All in all, the activities organized around the Remembrance Day help contribute to exemplify that history does not only belong to the past, but is worth being re-read from a contemporary point of view. Each year the commemoration is marked by a wreath laying on the eve of January 27th and a day of commemoration and pedagogical work at one of the schools in Luxembourg. Pupils from other schools are invited to join these activities. In order to better promote and thus enhance the possibilities of organizing the National Remembrance Day at Schools, a five-year convention was signed by the Luxembourg Ministry of Education and the “Mémorial de la Shoah” in Paris. The “Centre de Documentation et de Recherche sur l’Enrôlement forcé” co- signed this convention. 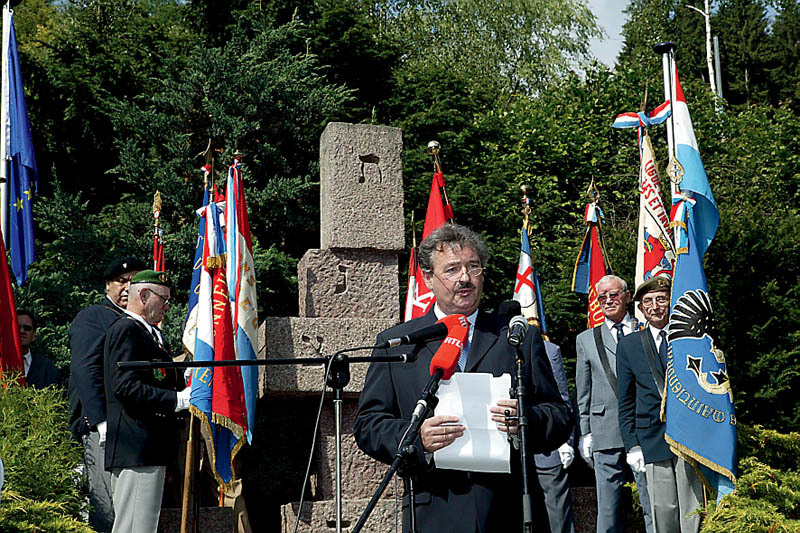 The year after, in 2012 then, the Remembrance Day was organized together with the “Mémorial de la Shoah”. The exhibition “The Shoah in Europe” was at issue, and people from the “Mémorial” had developed a booklet presenting activities for the pupils. 2013 was marked by activities organized this time in close cooperation with the Pedagogical Department of the “Mémorial d’ Izieu”. To start with, our pupils were shown a film on the itinerary and memory of children during the Shoah; people from the “Mémorial d’Izieu” introduced the topic so that our pupils could afterwards work in groups on worksheets documenting the children’s fate. The goal was to trace back the paths covered by the children and their families. One of the children that escaped deportation from Izieu was born in Luxembourg. The Remembrance Day 2014 covered the topic of “Sport, sportifs et Jeux Olympiques dans l’Europe en guerre (1936-1948)”. Once more, the people in charge at the “Mémorial de la Shoah”, had brought one of their exhibitions to Luxembourg that allowed pupils to work on the subject. The ceremony was held in the presence of the Prime minister Xavier Bettel, the Minister for culture, Mrs. Maggy Nagel, State Secretary for Education, André Bauler, the President of the State Council, Victor Gillen, the Vice-president of the Parliament, Laurent Mosar and representatives from all major political parties. Representatives from the Jewish community and of the patriotic associations assisted as well. The permanent exhibition of the Deportation Museum in the capital e.g. includes several chapters on the Holocaust. Adjacent to the former train station there is a monument that commemorates the deported Jews. Other local museums in Ettelbrück and Esch/Alzette exhibit documents, photographs and objects associated with Jewish history. In 2013 a new exhibition was shown in the „Musée national de la Résistance“ under the title: „Between Shade and darkness. Le sort des Juifs du Luxembourg de 1940 à 1945”. This bi-lingual (French-German) exhibit is going to be transformed into a travelling exhibition that can be shown in schools. The catalogue will be reprinted. In Luxembourg, there is a variety of ceremonies that remember the victims of the Holocaust. Ceremonies are regularly organized all over the country. These commemorations are organized by private individuals, NGOs, citizens' groups but also by government agencies. The National commemoration memorial (Monument national de la Solidarité) in the capital is the central place where the government and survivors’ associations meet for the national Remembrance Day for all victims of the Second World War, including the Jewish victims. Since 1969 the Luxembourg Auschwitz Committee organizes a commemoration at Cinqfontaines. From 1941-1943, the monastery of Cinqfontaines (in German: Fünfbrunnen) was a German internment center for Jews from Luxembourg before their deportation to the ghettos, concentration and death camps. The ceremony is held in July in presence of civil and religious authorities. A great number of Jewish and non-Jewish citizens attend the commemoration. A newly founded non-profit association, “MemoShoah”, plans the creation of a Youth Meeting Centre at Cinqfontaines and started collecting funds. At the initiative of the British ambassador, H. Exc. Alice Walpole, “Memoshoah” organised a visit to Cinqfontaines for ambassadors resident in Luxembourg. Twelve out of twenty embassies were represented on December 18, 2014. As there is no central memorial for the victims of the Holocaust, the mayor of the capital and the Prime minister lately expressed their goodwill in favor of such a memorial. Until recently Holocaust research did not really exist in Luxembourg. There have been some publications by journalists on the Holocaust in Luxembourg, but as Luxembourg had no university, academic research depended mainly on private endeavours taken abroad. In 2003 Luxembourg decided to found its own university (Université du Luxembourg). Up until now some research on the development of the Jewish community in Luxembourg was undertaken and first results are now available. In 2010 a conference on the life and work of Rabbi Samuel Hirsch took place. The publication of the contributions is due in 2014. 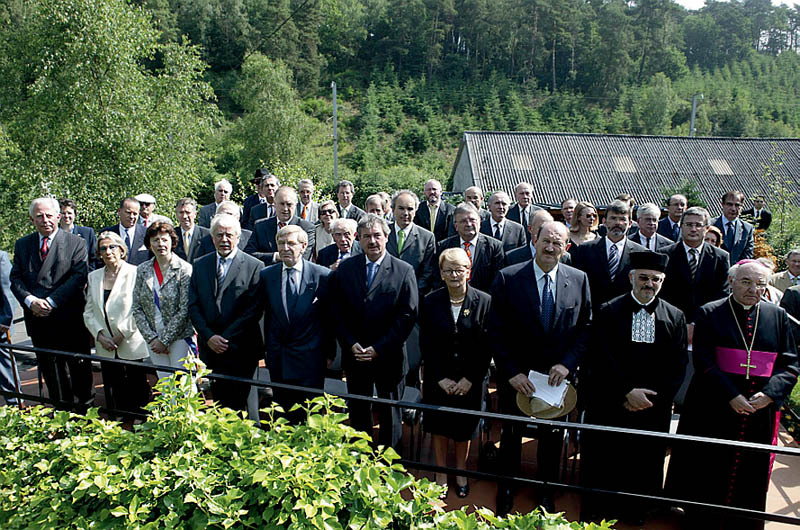 In 2011 a second conference was organized in Esch/Alzette by the history department of the University of Luxembourg. The contributions made at this conference were published in 2014. 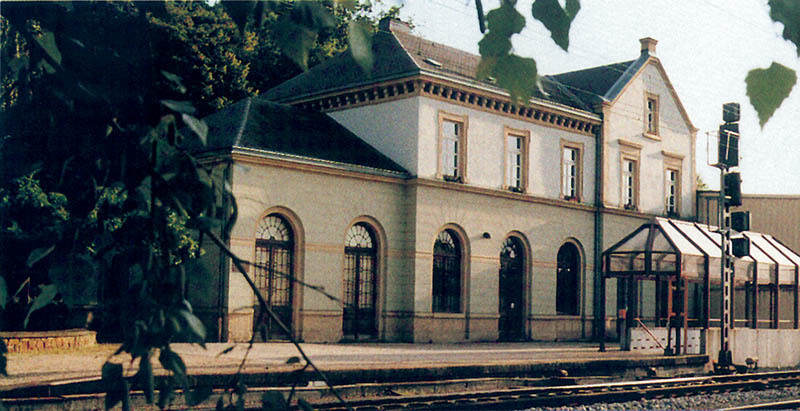 In September 2012 a public discussion about the implication of Luxembourg’s civil servants in the preparations of the deportations of Jews from Luxembourg was brought about as some people requested the Prime minister to present excuses to the Jewish community. The Prime minister believed that in-depth historical research should first be done before a decision about formal apologies could be taken. He signed an agreement with the University of Luxembourg who was tasked to do the research. A report is due in December 2014. A project to list all Jews deported from Luxembourg to concentration and extermination camps as well as to ghettos is undertaken by the “Centre de Documentation et de Recherche sur la Résistance”. The main goal of this project is to give back the victims a name and a face by researching photos. A publication is planned for 2015. A new non-academic publication should be mentioned here as it is the first for more than 40 years. It gives a good overview of the history of the Jewish community in Luxembourg. Access to public archives is generally given under the 30-year rule. There are some restrictions as to private or medical files, but special dispensations may be granted by the director of the National archives. The Jewish community entrusted a first bunch of files at the National archives in the nineties. These files have been microfilmed and copies are available at the USHMM and at Yad Vashem. A second bunch was deposited as photocopies only in 2008. Looking back at the evolution on Holocaust research over the last years we see an increase in interest in the Holocaust. At the same time funding for research has been increasing. In 2002 the government created a special commission to investigate the Jewish assets in Luxembourg under the German occupation as well as in the aftermath of the war. This commission drew up a report that was sent to the government in June 2009. Describing the confiscation procedures imposed by Nazi Germany, it attempts to assess the importance of this robbery and concludes on the restitution and compensation procedures implemented in Luxembourg after 1945. As a general rule Luxembourg's archives are open for research after a 30 year period. All documents pertaining to the Shoah are now open. Microfilms of the documents in the National Archives have been given to the United States Holocaust Memorial Museum and Yad Vashem to facilitate international research. A special commission was created by the government to work on the confiscated Jewish assets and questions of restitution and compensation. The final report will be published in early 2009.